Where to Buy BioSate Weed Control, AXXE RTU Herbicide Organic Roundup - 32 Oz - $18.95 for Sale with Fast Free Shipping! AXXE RTU Herbicide Roundup - 32 Oz is an OMRI Listed herbicidal soap that is tough on weeds, but easy on the environment. 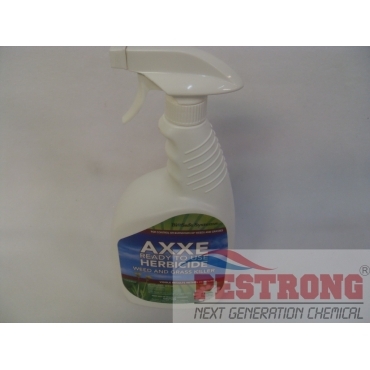 Conserve Naturalyte Organic Insect Control..
AXXE RTU Herbicide Organic Roundup - 32 Oz is an OMRI Listed herbicidal soap that is tough on weeds, but easy on the environment. AXXE Broad Spectrum non-selective Herbicide is a newly formulated organic weed control for use in greenhouses and nurseries especially. Burn down a broad spectrum of plants to maintain weed-free patios, walkways, and driveways. Use AXXE as a spot treatment in gardens and landscapes to eliminate back breaking hand weeding without harming the soil. AXXE RTU Herbicide has been changed name as Biosafe Weed Control. Just changed name. great weed killer. works great for me.